THEE BABY CUFFS/COLD DIAMOND & MINK My My My Baby vinyl at Juno Records. 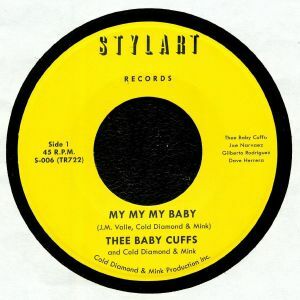 The latest hot-to-trot missive on Timmion subsidiary Stylart pairs the label's house band, Cold Diamond and Mink, with Thee Baby Cuffs, a three-part vocal harmony group from California whose only previous release was an ultra-limited seven-inch single last year. 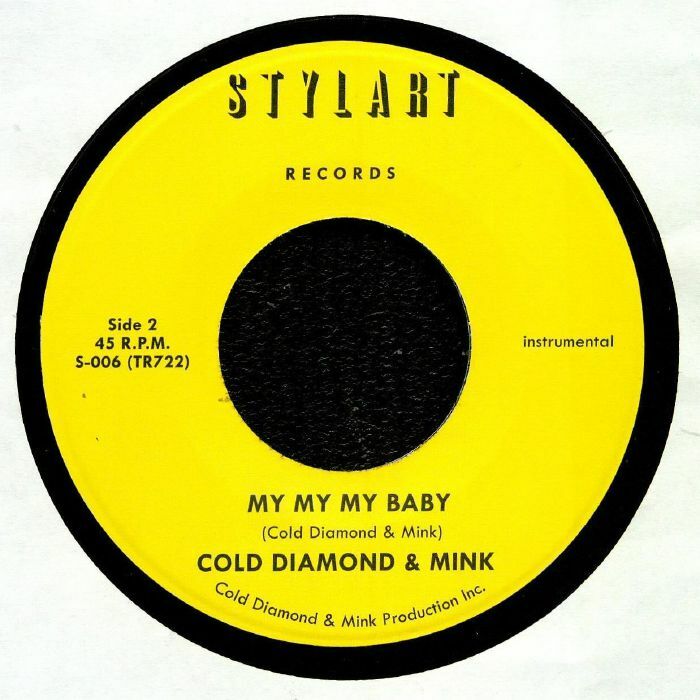 The group's classic-sounding vocals - reminiscent of famous male soul combos of the early 1960s - act as a focal point on the side A original version, though it's the studied retro brilliance of Cold Diamond and Mink's on point backing track that stands out. The band's authentic production - all rising horn lines, rich bass, loose-limbed drums and '60s style hard stereo separation - can be heard even more clearly on the fantastic flip-side instrumental take.